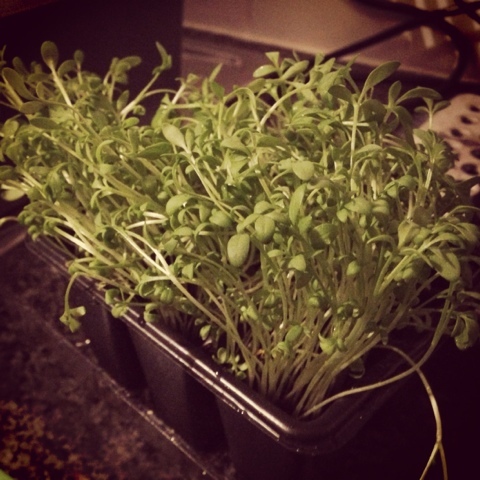 I'm quite excited to reveal that my cress I've grown is ready to eat! I know it's not the most sophisticated veggie/herb (not quite sure what it is classed as) but its the first thing I've grown from scratch! 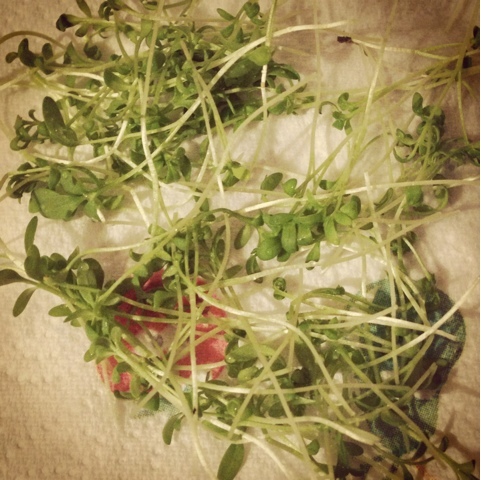 I figured I couldn't exactly get cress wrong and wanted to ensure I had at least one success story! 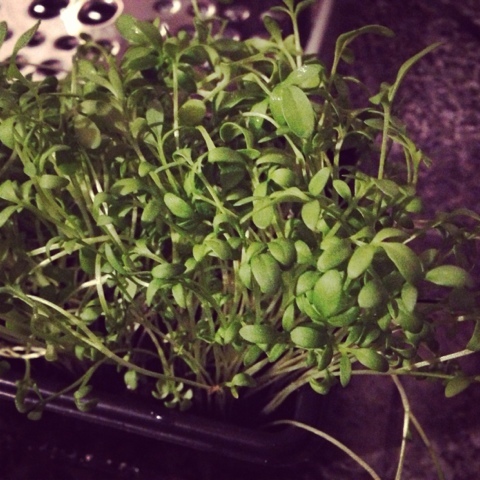 As you can see it doesn't quite look the same as the cress you get in the supermarket but this is called Greek cress. After trimming some and washing it I decided to sample it. I couldn't believe how strong the taste was, it was like horseradish or pepper, if almost blew my head off! Anyway this first crop will be enjoyed in tomorrow's wrap. 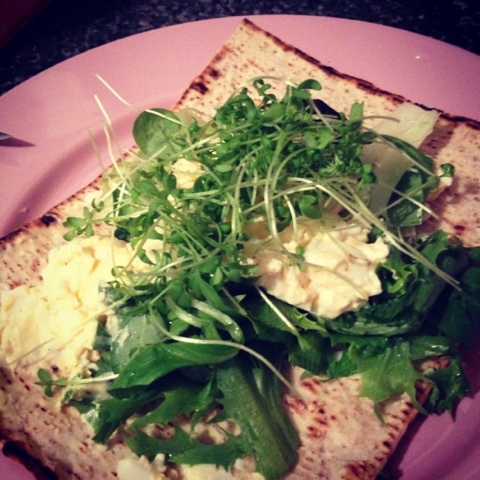 What better way to enjoy cress but with a good bit of homemade egg mayo yummy!